Picture boutique excellence at its absolute best! 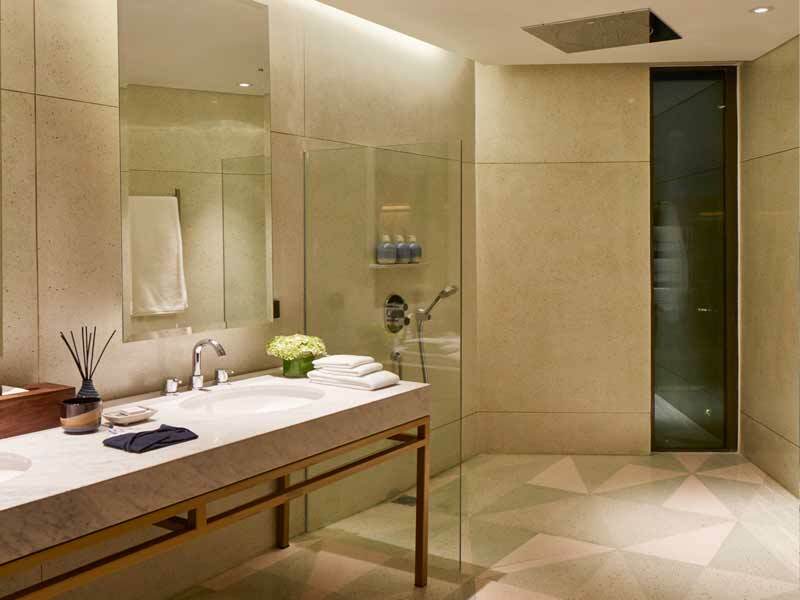 Boasting just 57 luxurious suites, Katamama offers guests a personalised and intimate experience. 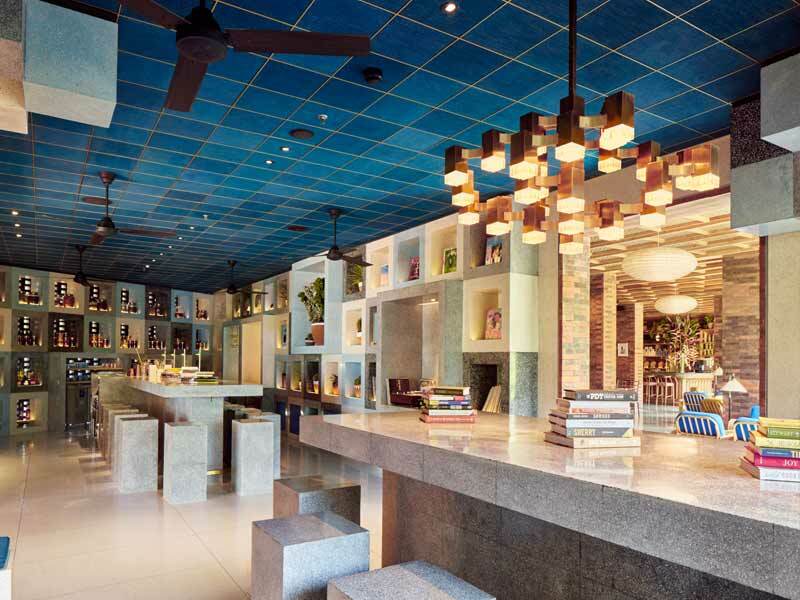 From the staff and the location, to the décor and exquisite dining, there isn’t an ingredient that has been missed in this resort’s recipe for the perfect holiday in Seminyak. Everything about Katamama’s design has been well thought out and planned down to the very last detail. 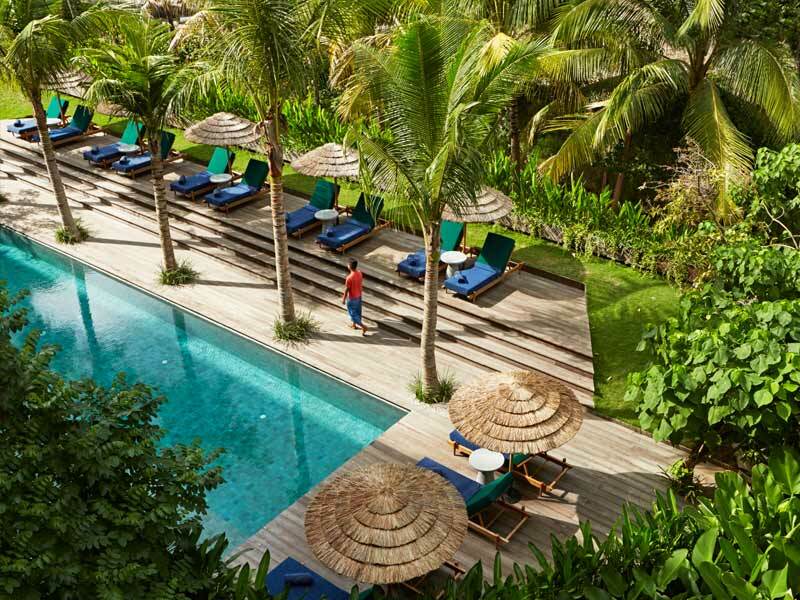 With a dedication to sourcing building materials, décor, food and other produce from local Indonesian suppliers, a stay at this Seminyak resort is as sustainable as it is luxurious. 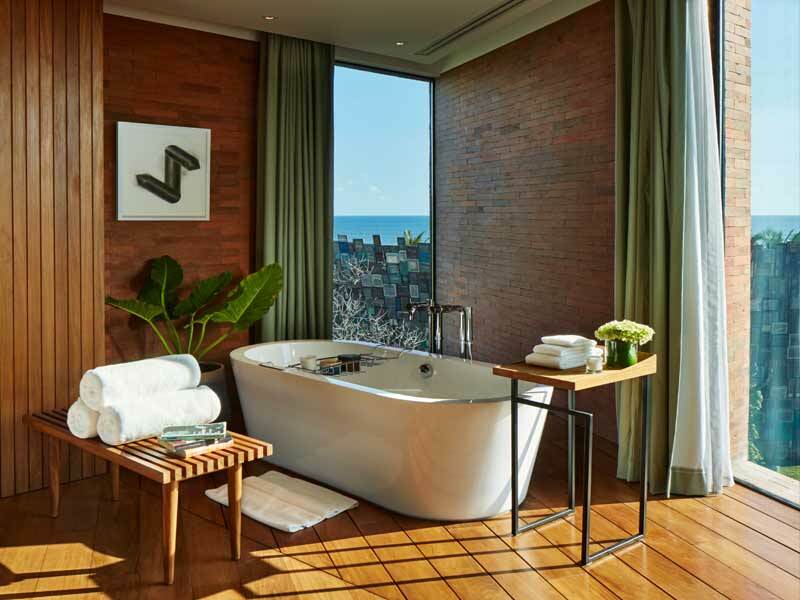 Each suite is adorned with specially commissioned handmade pieces from local artists in Bali, a deluxe King sized bed, cocktail bar and an outdoor area from which to admire the pristine tropical gardens that the resort calls home. Around the grounds, you’ll find an infinity pool, swim-up bar, 24-hour gym, Nila Spa and an exclusive access walkway to Potato Head Beach Club. Spend your days at the club, alternating between all the shops within. 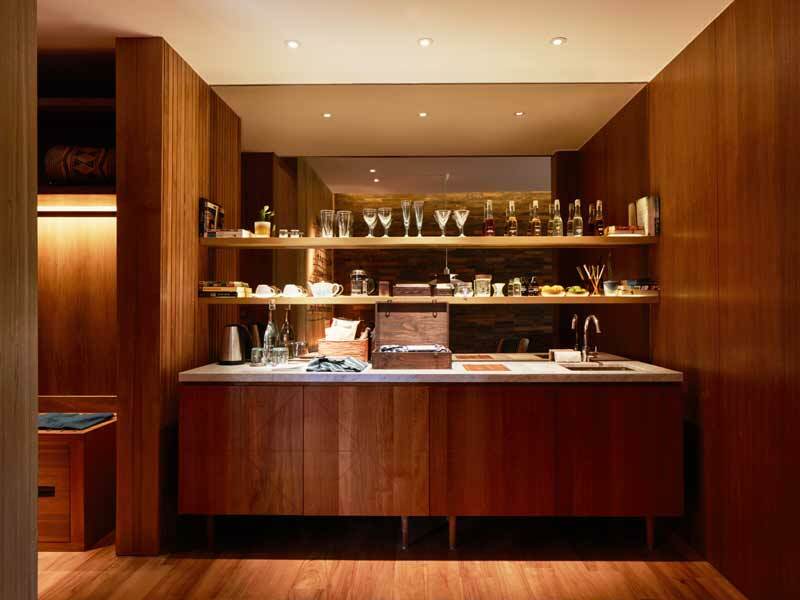 These include the club itself, the renowned Jakarta-founded One Fifteenth Coffee, Kuam cooking school and Escalier multi-brand boutique. When it’s time to eat, head back to the resort. 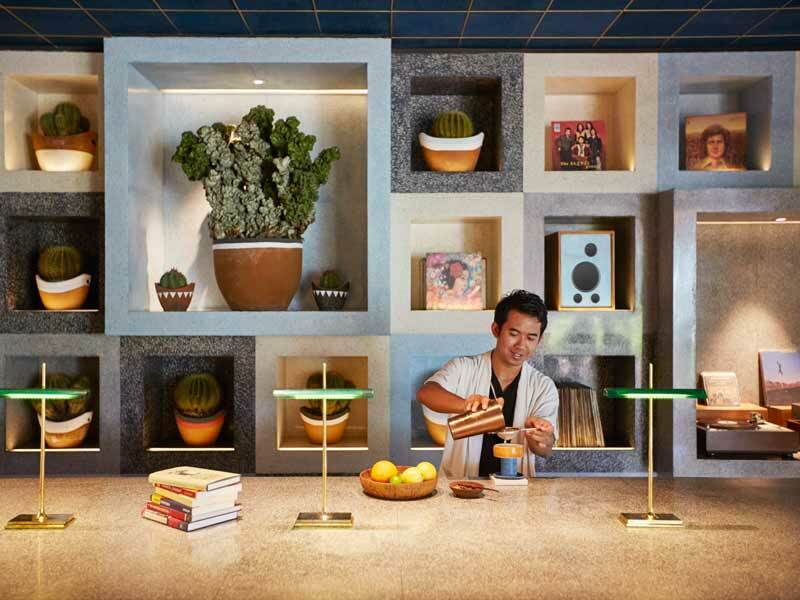 Sample local and international cuisine at the Katamama restaurant or opt for expertly created cocktails from the resort’s resident mixologist, Dre Masso, at the Akademi lobby bar. 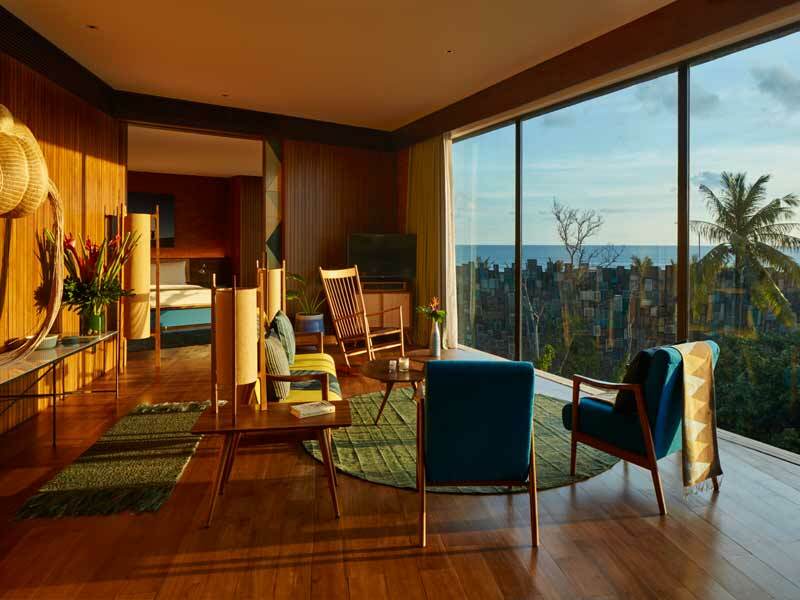 From the handmade ceramics that your afternoon cocktail is served in, to the luxurious décor of your spacious suite or your beautifully prepared breakfast, everything at Katamama is responsibly sourced from local Indonesian artisans. On top of that, the resort couldn’t be more ideally located! It’s set just 20-minutes from Seminyak town centre, 40-minutes from the International airport and a few minutes’ walk to the beach! 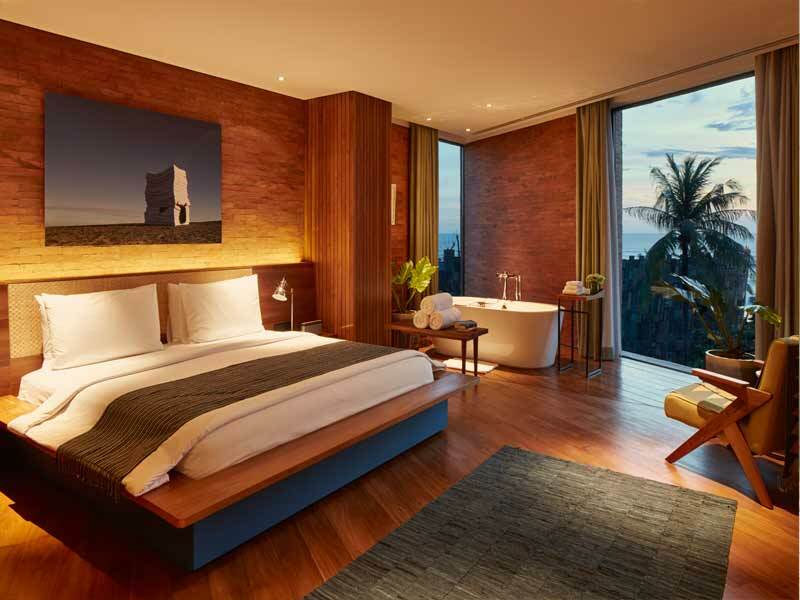 Just 14-kilometres from Bali’s Denpasar International Airport, you can be unpacked in your luxury suite at Katamama in no time at all. The resort is perfectly positioned to easily access the island’s attractions. Alternatively, it is peaceful enough to just forget about the outside world as you kickback by the pool and unwind! From traditional Balinese cleansing rituals to surfing world-class waves, Bali has something for everyone. The team at Katamama can arrange personalised tours and expert guides, or give you some local tips if you fancy exploring on your own. Check out the local beach clubs, cafes, boutique shops and restaurants or tour the ancient rice terraces, villages and temples. Coffee lovers should add One Fifteenth Coffee to their Bali bucket list. The coffee roaster from Jakarta offer fabulous freshly-brewed, locally-sourced coffees and special coffee tastings and can be accessed directly from Katamama through the exclusive Potato Head Beach Club access walkway. 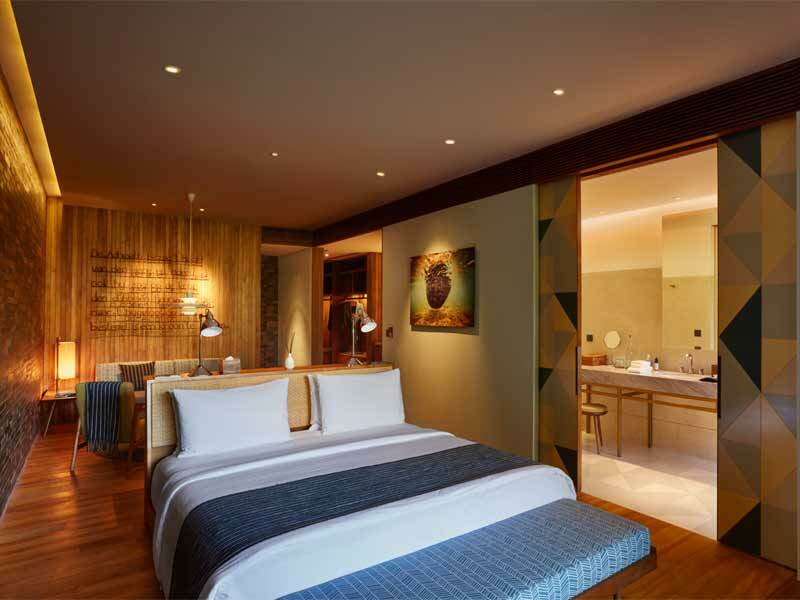 Katamama is the ideal hotel in which to base yourself if you want to explore Bali. 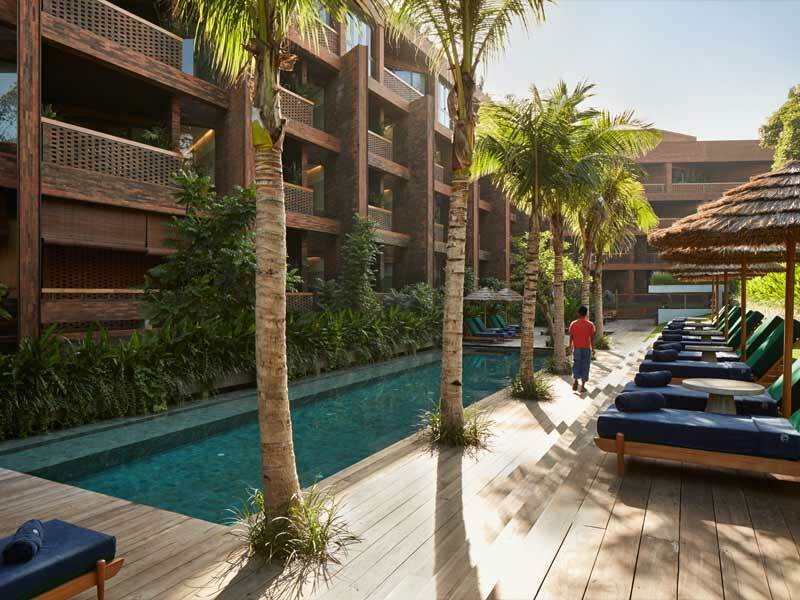 Drive approximately 20-minutes to explore central Seminyak, walk just minutes to reach the beach or enjoy a sundowner or two at Potato Head Beach Club (guests at Katamama can enjoy priority daybed booking!). If you don’t fancy venturing out, why not take part in the resort’s cultural programme. 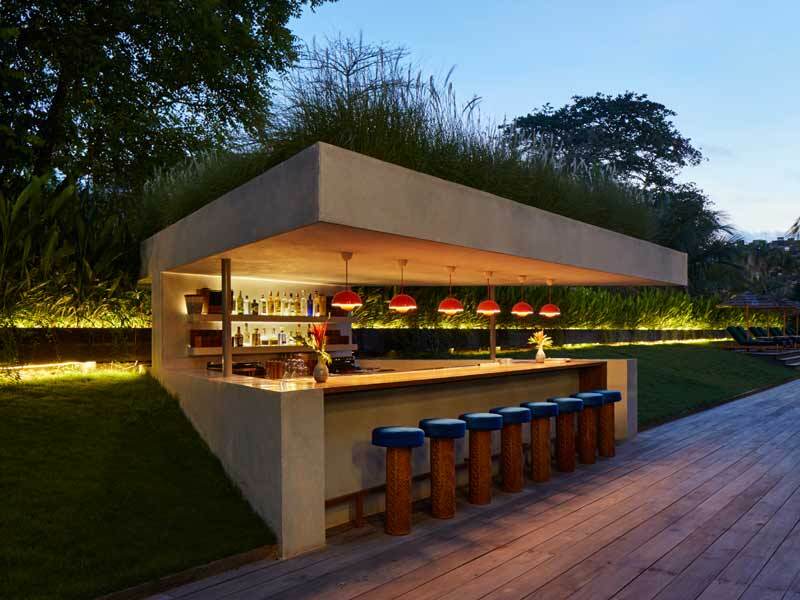 Activities include wellness, art, music and nature events as well as the cocktail master class at Katamama’s Akademi lobby bar. 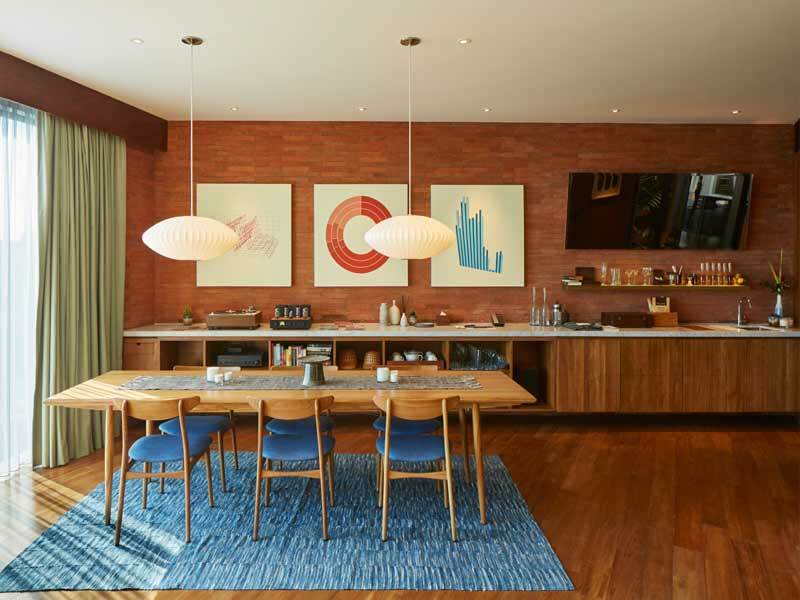 The staff are fabulous, the room spacious, the location ideal—but what sets this place apart is the super stylish yet comfortable, modern yet vintage, simple yet comprehensive design. We spent most of our time at this hotel just talking about how many of the design features we loved. Everything this place does it does well, the food, the tea, the COCKTAILS! We also loved the audiophile room. A special thank you to the superb and accommodating manager Alejandro who made our trip beyond memorable. Thank you so much for the phenomenal service. We la la loved our stay.